I am not the artistic or creative type. I desperately want to be, but I am just not. That is why I love Illustrated Faith's Bible journaling kits by Dayspring! 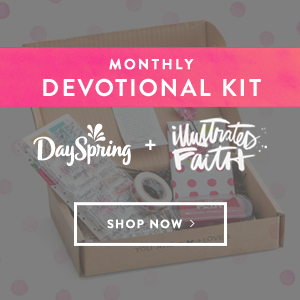 Each month Illustrated Faith and Dayspring put together a kit full of Bible journaling supplies that will spark creativity and help you in your Bible journaling adventure. 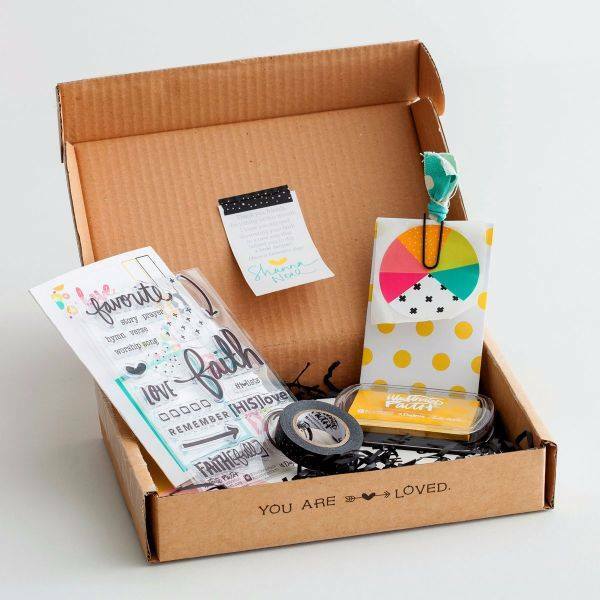 The latest kit, Lists by Faith includes 1 devotional booklet with 31 Lists by Faith prompts, 1 mustard yellow stamp pad, 1 clear stamp collection with 1 sheet of cut outs, 1 roll of washi tape, 1 package of 3 Scripture cards, 1 giant sticker, and 1 bow clippy bookmarker. For only $29.99 you are getting devotions and supplies, that is a great deal! It also makes a great gift for Mother's Day, graduation, birthdays or a just because gift. Bible journaling is not only fun, it is a way to worship. As you are creative in your Bible, your journal, or just on paper, you can pray, sing praises and use the creativity God has given you to worship Him. 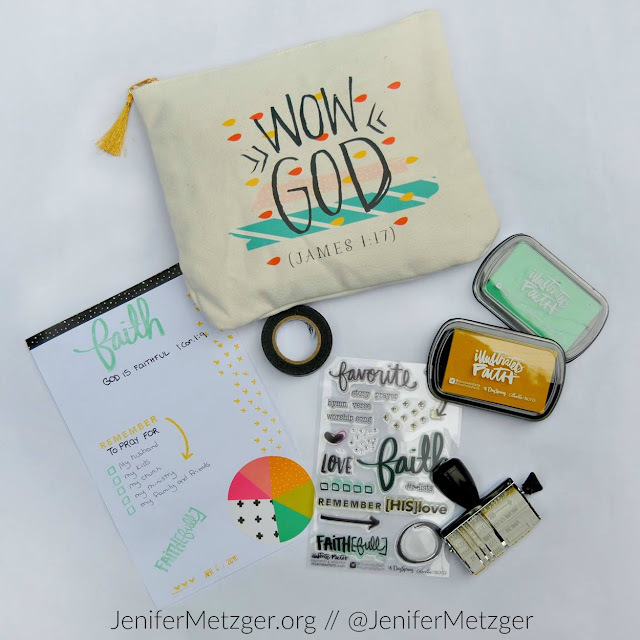 Whether you are the artsy type or not, Illustrated Faith's Bible journaling kits are perfect to help you along. To check out the kits, click on the image below. 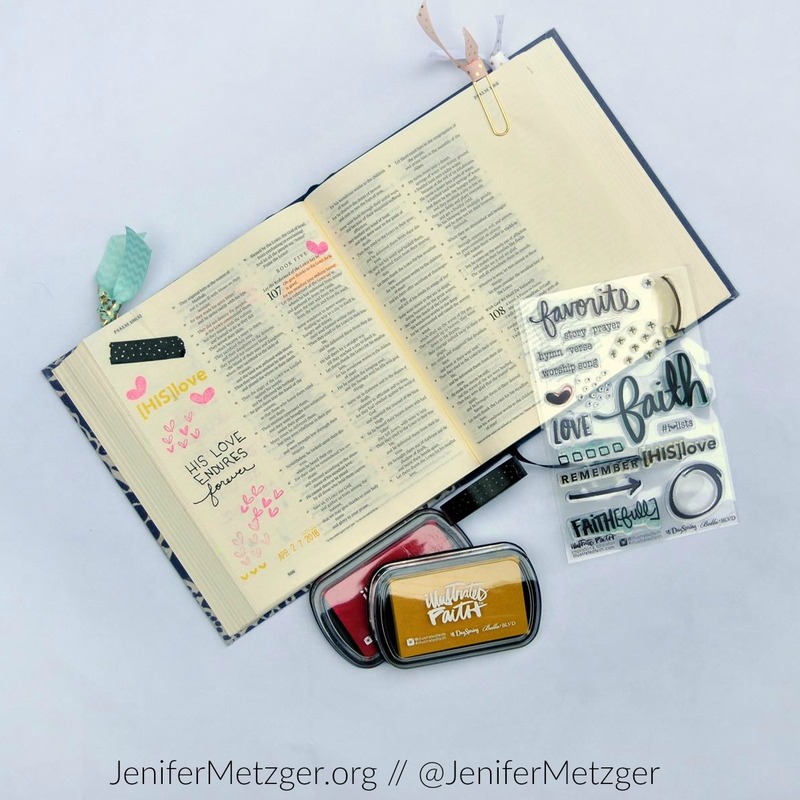 Have you taken the plunge to Bible journaling? Is it something that sounds interesting to you? Share in the comments. No plunge, just a toe in the water. I'm not an artist, I'm an organizer. I have to think through and then the time is gone and back to chores.